Selected by House Beautiful Magazine as Best For Kitchen & Southern Living Magazine top gift. Our fresh sun-kissed garden Heirloom Tomato aroma is exquisitely captured in our liquid soap. Spicy, peppery on the vine tomato. It's perfect for dispelling pungent aromas from the garden or kitchen. 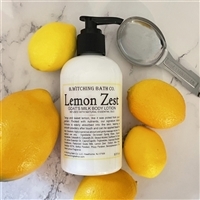 Formulated with a touch of natural germ killing tea tree oil and designed for one-step hand cleansing - our liquid soaps are a real treat! Turn your kitchen sink into a spa experience. 8 fl. oz. Distilled Spring Water, Ammonium Lauryl Sulfate, Glycerin, Disodium Cocamido MIPA Sulfosuccinate, Propylene Glycol, Cocamidopropyl Betaine, Acrylates/C10-30 Alkyl Acrylate Crosspolymer, Tea Tree Essential Oil, Sunflower Oil, Triethanolamine, Disodium EDTA, DMDM Hydantoin, Jojoba Spheres, Our Select Tomato Fragrance. YES! I just got my order of Heirloom Tomato liquid soap and it smells SO GOOD!. I used to buy tomato scented soap at the roadside restaurant, Cracker Barrel and I'd make special trips there just for the soap. They didn't carry it anymore and I found your company with an internet search. That's always a gamble as I've bought products that say 'Smells just like..." and it doesn't. Well, HELLO! This is even better than what I'd fallen in love with. What a great kitchen fragrance. 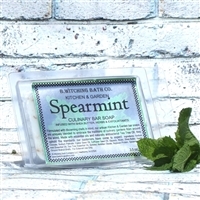 And I also bought the spearmint and it is also perfectly blended. Fresh, clean. I'm thinking I might need to buy this by the gallon for my business... Nice Work. And so it is. Your tomato liquid soap is the best ever! Where can I find your products in Minneapolis, MN or St. Paul, MN? Thank you! Living in NYC I don't have the opportunity to have much of a garden, my terrace has to do the trick. 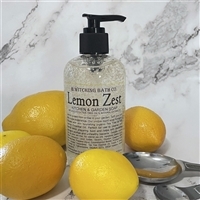 This soap is terrific - I can see why House Beautiful Magazine voted it Best of Kitchen. Yummy perfect off the vine tomato. I didn't know what to expect when I ordered it, but glad I did.